Owing to their quality, durability and dimensional accuracy, our Aluminum Billets find extensive usage in various architectural purposes, building and construction, electrical and mechanical engineering works. 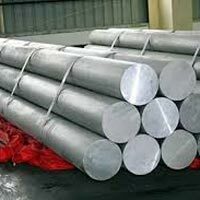 We are one of the leading Exporters and Suppliers of Aluminum Billets from Thailand. Being quality oriented firm, our quality controllers conducts stringent tests on Aluminum Billets before procuring them. One can obtain Aluminum Billets from us at the most reasonable prices.